Lovely and cozy. The Hotel Prestige is a Hotel boutique recently built with only 25 rooms. 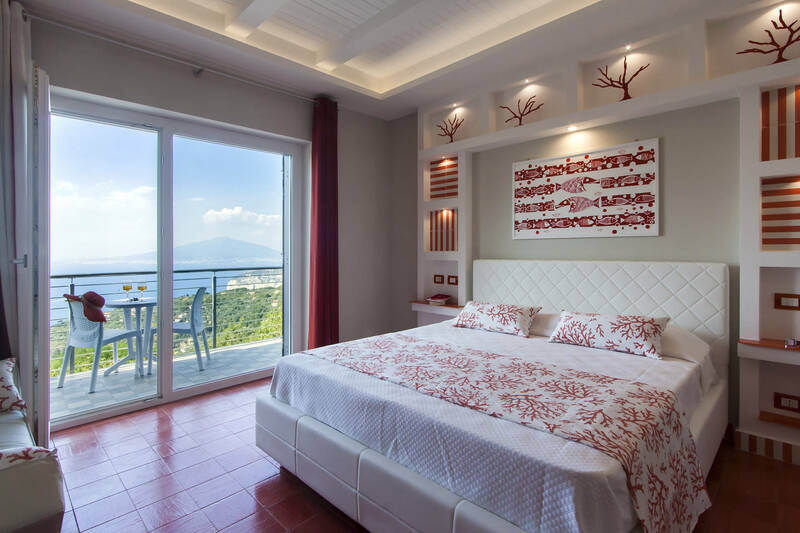 Set in one of the most enchanting positions of the Sorrento Peninsula, surrounded by the green hills of Sorrento, enjoys breathtaking views of the Gulf of Naples and Salerno. Its strategic position, in the mid between Sorrento and Positano, it provides easy access to both destinations, rich of history, myths and enchantments. Ornate of elegant gardens, terraces with admirable views and superb solarium with pool. Your first impression it's WOW! The beauty of these pleasant places, It is protected by strict laws that preserve the status of places, allowing the Hotel Prestige to benefit from an extraordinary landscape, between untouched nature and changing scenarios from each viewpoint. 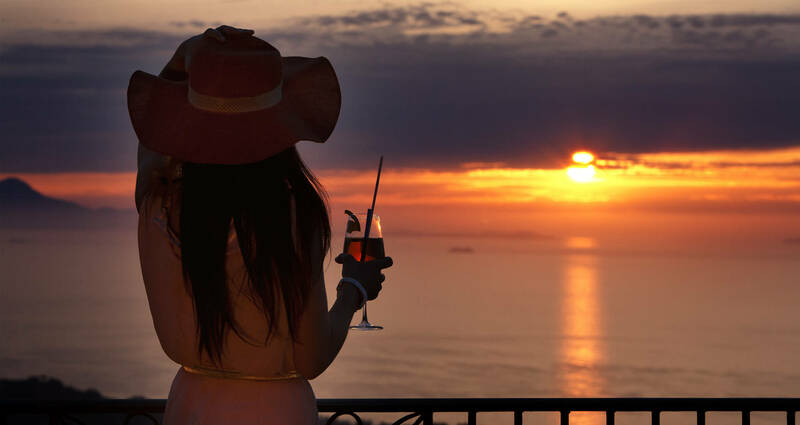 In a privilege spot, overlooking the Bay and Mount Vesuvius, rises our Restaurant Prestige. You can enjoy the typical Italian cuisine, the most tempting to the palate, made only with genuine and local ingredients. Very easy, nice and enjoyable! 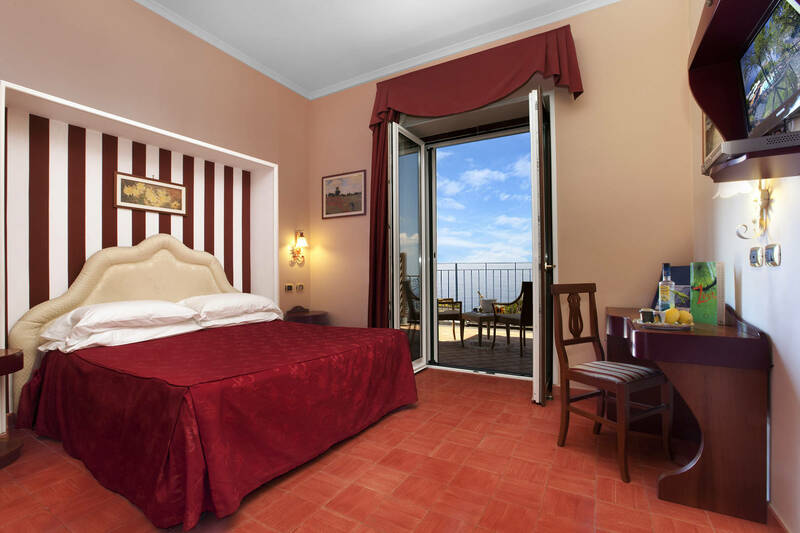 The hotel also has ample free parking and a comfortable free shuttle service to the center of Sorrento. During the way, you will get surprised by different landscapes rich of florid vegetation that feature our territory. Taking our luxury vehicles, you will avoid the stressful research of a parking downtown and you will also have the chance to become familiar with the other guests, enjoying the precious suggestions of our drivers. 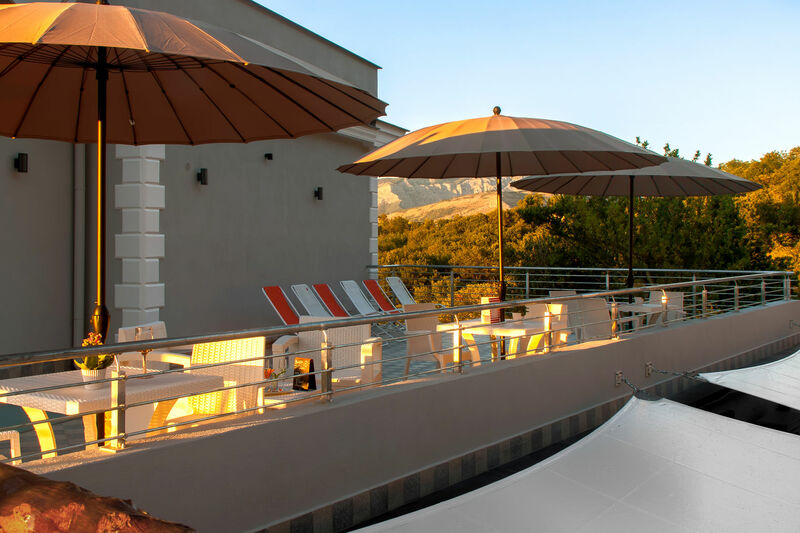 Evolving over the years, it is a fundamental aspect of the Hotellerie, that's why we operate to increase the services and the amenities year after year. The interiors decorated with passion, have been created with fine and precious materials of exclusive production. Precious marbles, bright Vietri ceramics, chandeliers of Murano and no detail has been left to chance. On the contrary, devotion to this job and love for our Guests will remain unchanged. Whispers the sea, the sun and nature. But when the night falls, and the sun leaves the place to the stars and to the moon. Slowly, slowly the emotions they come inside you and glaze over your eyes. 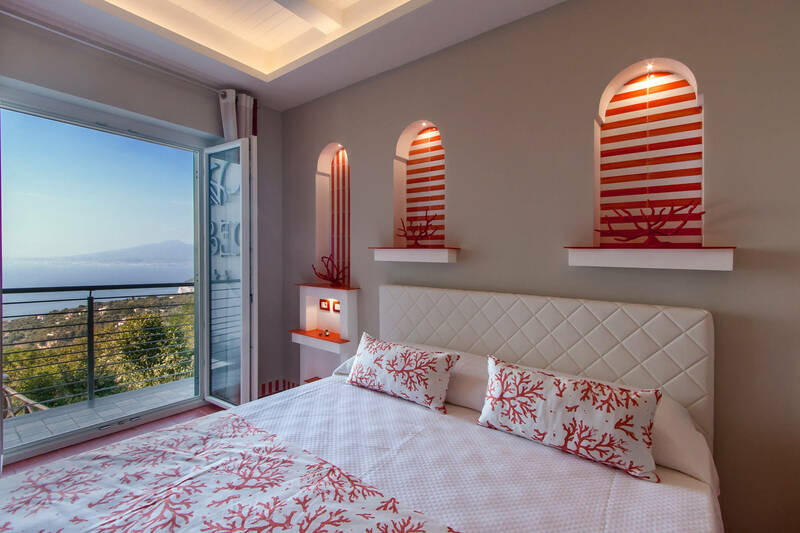 Villa Prestige, is the ideal residence for those are looking for a romantic destination. 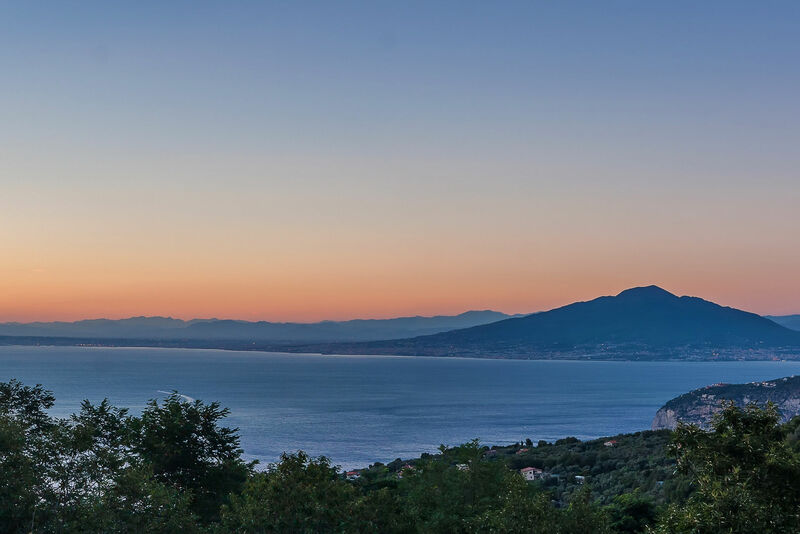 The view of the Gulf of Naples and Mount Vesuvius gives hour by hour different scenarios that make you feel your heart in your throat. 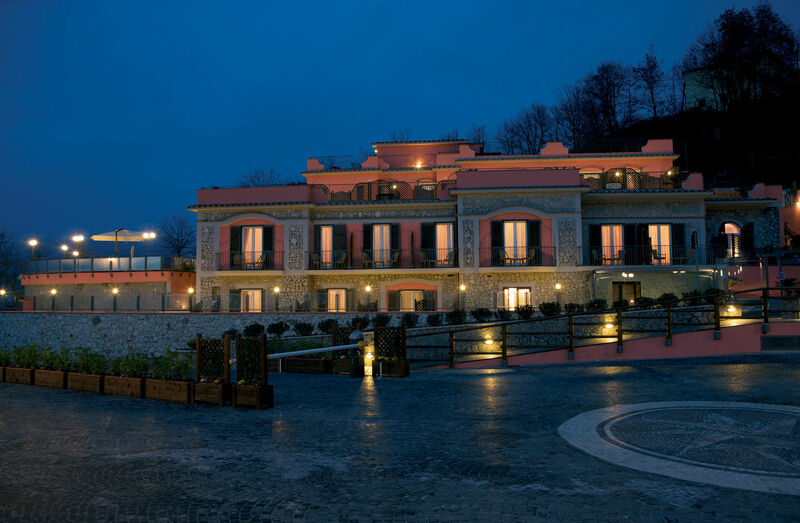 A passion that you cannot resist, in a bucolic setting midway between Sorrento and Positano. The style of the Villa is Modern and Mediterranean. The interior of the five rooms are modern and characterized by fine and sophisticated taste, with paintings and ornaments made by local artists. Its high and privileged location, surrounded by vast gardens and paths, with wonderful views visible from wherever you move, will let you collect unique moments of harmony and tranquility. 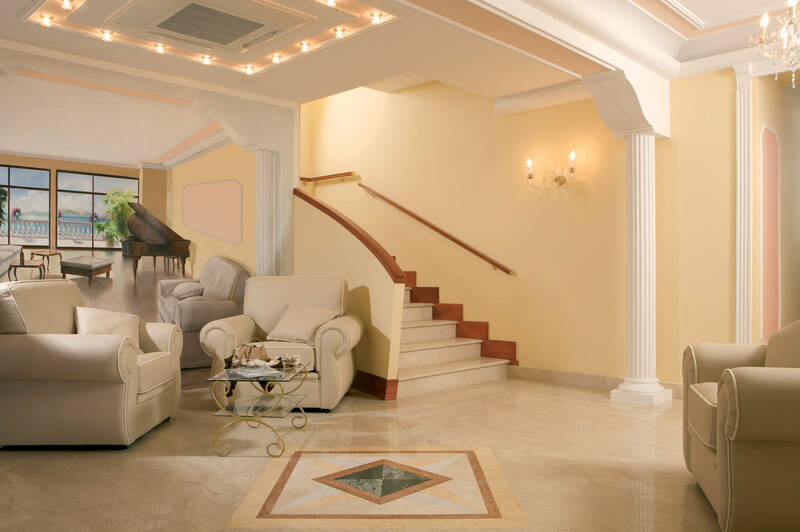 Villa Prestige is located a few meters away from the Hotel Prestige. 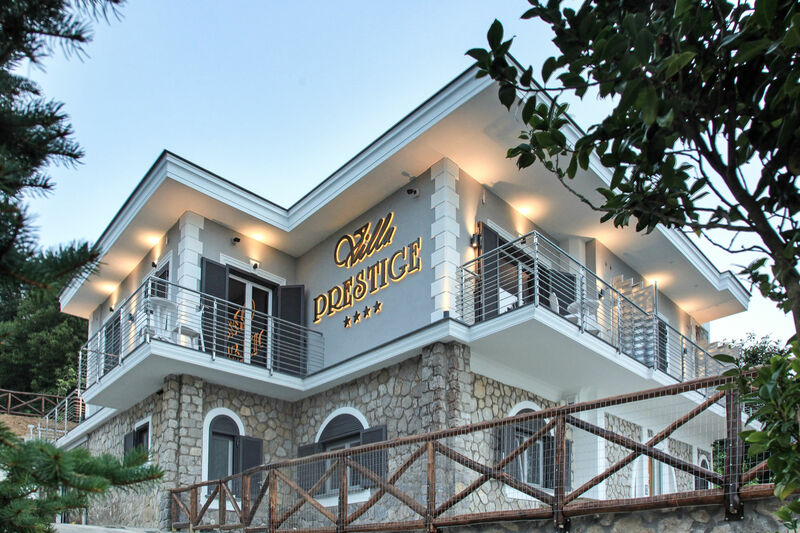 The Hotel Prestige makes at your disposal its services in order to expand your pleasure: swimming pool, free shuttle bus, roof bar and our Restaurant with its shocking view. Reserved only to the guests of the Hotel and Villa Prestige, an elite service with departure from the Hotel with a minimal notice, the best way to make your transfers and excursions as easier and comfortable as possible. Wear your sunglasses and lets go!